* Embrace God's promises, protection, and plans! 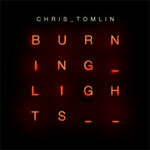 One of the most influential worship leaders of our time, Tomlin continues to write songs that connect people to the heart of Jesus and lead them to a greater passion for praising God. Includes "Whom Shall I Fear (God of the Angel Armies)," "White Flag," "Awake My Soul," "Crown Him (Majesty)," and more.